Ravishing satin silk kimono by Royal Silk in a spellbinding large floral design in opulent tones of misty plum and pumpkin adorning a glistening tableau of dulcet grey. 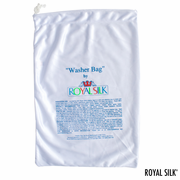 This satin silk is incredibly soft and creamy. Once on, the sensuous touch will make you want silk forever. Two large front pockets to nestle your hands. One size fits all (34� to 48�). Length is 33�. 100% Silk. Hand wash or dry clean. 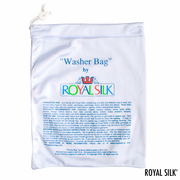 This silk kimono be safely machine-washed with our Washer Bag for silks (purchased separately). Imported.